This is an important question with significant implications for potential service users and providers. Factors include the route, destinations, interchanges, initial investment, running costs and revenue, speed and capacity. The different modes have significantly different strengths a weaknesses. Advantages of trains (heavy rail) include its ability to go faster, and carry many more passengers into central locations with fewer drivers than bus or trams (light rail). They are also independent of the road network assuming no level crossings. The train’s disadvantage is the higher initial cost as trains are not suited to go up hills, so extensive tunnelling is required under Doncaster Hill, if that is the chosen route. 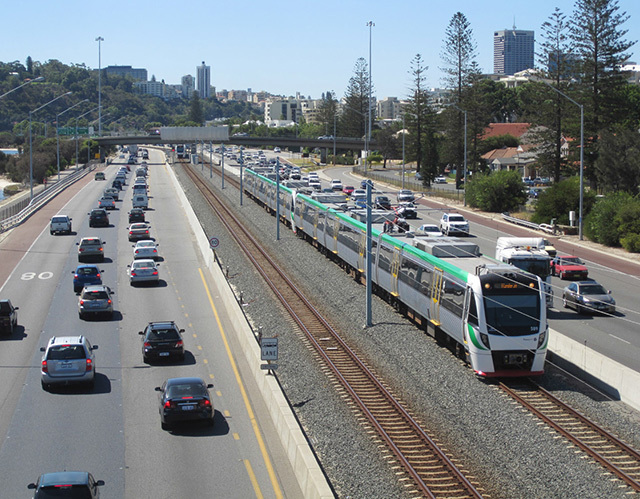 Alternate heavy rail routes include continuing along the Eastern Freeway to avoid tunneling, then following Eastlink with major park-and-ride stations along the route. 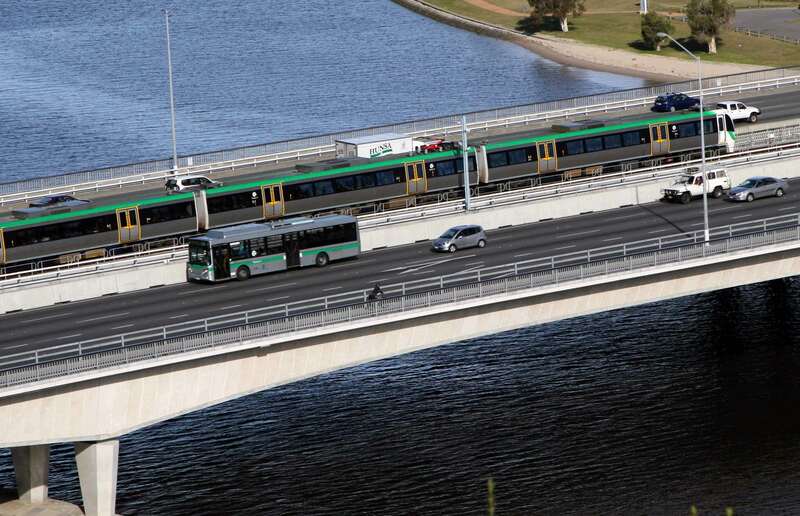 An example is the new, cost-effective and popular railway along the Mitchell Freeway in Perth. The new Perth train lines have stations in the middle of the freeway, with elevated cross-overs for buses, pedestrians and large adjacent car parks. It is a land-use and transport model appropriate for the East-Link. The train would depend on a significant feeder-bus network. The Clifton Hill Group is one line that does have capacity for more trains to join the system, especially with the new Merri Creek bridge and controversial city loop reversal in the mornings proposed for later this year. The Clifton Hill line may reach capacity some time in future. Then it would be difficult to add additional tracks between Victoria Park and Jollimont. An alternative option may be for some trains to continue west, possibly in a tunnel, to the University of Melbourne. The Clifton Hill to Melbourne Uni route would also suit buses and trams, and reduce traffic demand and congestion on Alexandra Parade and Princes Street. Light rail and bus is cheaper to build than heavy rail, but shares road space with other modes. Without priority over cars (often proposed but rarely delivered) it suffers from the same congestion related efects (unreliable, slow, polluting). Tram priority is often proposed but rarely delivered. Yarra Trams submitted to Eddington a feasibility study for a light rail along the Doncaster corridor, joining the 86 tram route at Smith St and Alexandra Pde. The studys findings were not released. Alternatives would have the new tram join the 96 route at Nicholson St, or continue to Swanston Street or Royal Parade. Buses are flexible. This is why they are least trusted by commuters. There have been buses along the freeway since it opened and it must be horrible being a driver on one of those buses. Eddington Recommendation #6 for a new, state-of-the-art bus service for doncaster proposes a significant bus upgrade. The costs of building and running it are not compared with other options. When asked if he was convinced buses, not trains were the solution, Sir Rod said there were more urgent rail projects in the west but don’t let anyone remove rail reservation down the Eastern freeway [Monash Transport Lecture, SLV 28 August 2008]. Buses suffer from road congestion at both the city and Manningham ends of the route. It may be hard to employ and train enough bus drivers to make a long-term dint on demand.